To celebrate its fiftieth year the imprint is re-issuing 50 titles that have been out of print under the Touchstones banner, with the first 25 of these having been released at the end of January, and a further 25 to be released later in the year. For many musicians the making of a solo album feels a natural thing to do, and also something of a giant leap of faith. If much of their music making is in the company of others, working through a composition as a ensemble sharing a unity of purpose, the solo performance is often a lonely pursuit but one which ultimately brings a different sense of reward for both performer and audience. Is it my imagination or are we in danger of underestimating Dizzy Gillespie? In 2017 Dizzy Gillespie’s centenary passes with barely a mention. Dizzy is not forgotten but he is not highly rated. He did clown around and in 2017 people tend to elevate musicians who were ‘serious’ and were ‘spiritual’. Dizzy never played that game. Thelonious Sphere Monk was born on 10th October, 1917 and one hundred years on from his birth it is fitting that we should still be celebrating the life and work of one of the musics true mavericks. The above mis-spelling or mispronunciation of his name to be more precise was how his wife Nellie once requested they play some of her husband's music on a local radio station. Pianist, composer and bandleader, Laura Cole has now decided that it is time to take that leap of faith, and wrote on her Facebook page on 12th July; "Decided tonight that I will share publicly that in September I will be taking myself -and my ideas- to be developed to the Northern tip of mainland Scotland, to Lyth Arts Centre in Wick, for work on my first solo piano project, As Warm As The Sun.. .this is the 'solo thing' I have shied away from for many years, but I think now is the time to confront it and see what music comes out of it.. think it takes courage to do it and I think I need to see where my courage- and my music- can take me. The album, in whatever form it will take, will be released on the Discus label by Martin Archer." Twenty five years ago, on the 28th September, 1991 an era passed with the death of Miles Davis. In a career that spanned five decades the importance of Davis'contribution to the music of the 20th Century cannot be ignored or indeed diminished with the passing of time. In the rich recorded legacy that he left behind, Miles not only changed the face of jazz no less that five times, but was also able to reach an audience that went beyond the confines of a single musical genre, engaging with people that were not jazz fans but Miles Davis fans. Approaching a concert by Mike and Kate Westbrook is like entering into the presence of the Royal Family. By now they are almost beyond criticism. Garlanded with OBEs, prizes and praise going back fifty years, they just have to turn up and people will listen in reverential silence. added the building to its list of the world's "100 most endangered sites". The concert was in two parts. The trio played the first half: Mike Westbrook piano, Kate Westbrook voice and Chris Biscoe, alto and soprano sax. It was an intriguing set particularly the interplay between Mike Westbrook and Biscoe. A blues developed from Jimmy Yancey piece was the highlight. Kate Westbrook delved into the work of Kurt Weill and the Gershwins as well as her own lyrics. For the second half the music from the new album was played. Projected across the back of the stage was the magnificent painting developed by Kate to illustrate the album. ‘The Serpent Hit’ has been around for some time. Chris Caldwell (baritone saxophone), explained that it has been growing and developing. Kate Westbrook says that she wanted it to be about the end of the world and the way that human kind is screwing up the world. Conscious that such a scenario could be doom ridden she has turned it into a kind of game. She hopes that it has a cabaret feel over laid with irony so that its seriousness is offset. writing for the quartet of saxophones. Chris Caldwell’s baritone richly underpinned the sounds. The unusual encore, and who else but the Westbrooks would do it, was the rendition of a musical hall song ‘Slap Bang Here We are Again’ from 1865. The two Westbrooks are unique. They carry on across the years with their inimitable stylings but I am sure that I was not the only one in the audience who would have preferred more of Mike and less of Kate and the same goes for the album. and is funded by Airshaft Trust, providers of grants to contemporary composers and performers. Quite simply, Jazz For Babies, is exactly what is says; although scratch the surface a little deeper and as you can well imagine the title is somewhat of a simplification of a well thought out and conceived project that can serve a wider purpose than those three words would initially conjure up. The concept is very simple. Research has shown that music played to unborn infants in the womb is not only heard, but also recalled after they are born. 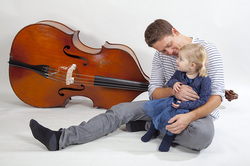 It is therefore easy to understand that a musician whose partner, or they themselves, are expecting a child would find the idea of stimulating their unborn infant with music hard to resist, and one such musician is bassist Michael Janisch. "From my own research and instinct as a musician" says Janisch, "I knew that by introducing a baby to the right kind of music at the earliest age, or inded in the womb can help give rise to a calm and serene baby, as well as developing creativity and individuality." Unable to find music, not only suitable for playing to babies in utero, and especially of his chosen genre, Janisch has gone one step further and produced five CDs of some of the most well- loved songs, performed as lullabies on acoustic instruments in a jazz idiom with all the pieces having room for improvisation. Whilst much of the research so far conducted will relate to music of all genres, and not specifically to jazz, the above comments will I am sure strike a chord with many readers of this site as jazz as an art form places an emphasis on the individual and self expression, along with working collectively towards a common goal. These are traits that we would all wish for in our offspring, an inteliigent, well balanced, calm and relaxed indivual who is not afraid to express themselves. 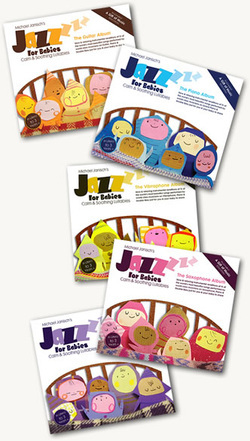 Since the release of the albums in June 2013, Jazz For Babies has been receiving feedback from new and expecting mothers that indicates playing this calming and soothing music they have found that the music is not only of enjoyment and benefit to the child, but that they themselves often feel more relaxed. If current research is far from complete or conclusive, the testimony of parents will offer reassure other expectant mothers and fathers that exposure to jazz and music in general can be of a major benefit. 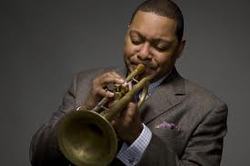 In a Ronnie Scott’s first, jazz legend Wynton Marsalis’ sold out show on Tuesday 23rd July is to be broadcast live to a potential audience of millions around the world. Thanks to the power of the internet and a ground breaking partnership with Panasonic, a world-wide audience will be given an unparalleled opportunity to experience the famed ambience of one of the world’s most iconic venues, swinging to one of jazz’s most iconic stars, all in stunning HD. membership in Britain’s Royal Academy of Music and the insignia Chevalier of the Legion of Honor, France’s highest distinction. He has more than 70 albums to his credit, which have sold more than 7 million copies, and three albums earned three gold records. 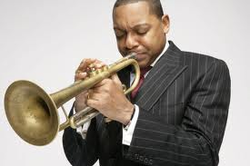 Tickets for Wynton Marsalis’ three night (six show) run from 22nd July sold out in a matter of hours, primarily to club members, so, with demand for tickets to see the legendary trumpeter, band leader and cultural champion far out-stripping demand, there is no better time to launch this exciting new venture. Just as the BBC gave unprecedented coverage of Glastonbury, live streaming from Ronnie Scott’s gives a unique opportunity to those unable to secure tickets to enjoy the music and take a sneak peak inside one of the world’s most iconic venues. allows low-light filming of multiple positions giving viewers a genuine impression of being amidst the live audience and a real feeling for the intimate atmosphere of one of the world’s greatest jazz clubs - all without detracting from the experience of those lucky enough to have a ticket to the show. Access to the broadcast is free. website www.ronniescotts.co.uk at 10.30pm BST on Tuesday 23rd July. After hearing the sad news that saxophonist Lol Coxhill had passed away in July, it was only fitting that a return to some of his recordings would be an appropriate way to pay respects to a truly original musician, and a genuinely nice person. This is a review that I wrote in July 2003 for the original Jazz Views website, that still retains it validity and prompts one to revisit the music once again. A meeting of musical minds in what appears to be the first full CD recording of the pair, although they have played together many times over the last quarter of a century; and therein lies the crux of this CD. A collaboration that shows just how far both men have travelled in that time span, and yet how atuned they are to each others playing. Riley has in some respects taken a more circuitous route from composition based playing to finding his way to free improvisation, and recently a return back to more structured environments. However, if variety is indeed the spice of life, the pianist shows every intent of keeping a foot firmly in both camps and exploring the grey areas in between, whilst keeping his debt and admiration to Thelonious Monk very much in the mix. Lol is Lol, and plays himself. If perhaps the changes and methods employed by the saxophonist over the years seem less dramatic, he has a recorded body of work that is remarkable in its consistency and sheer variety of contexts in which the Coxhill sound has been not just accepted but readily embraced.Both players have a long history and wealth of experience as solo players, and it is with this very much in mind they approach the music on this disc. Not so much a musical dialogue, but two separate monologues that cross paths and occasionally meet in the most unexpected places. Split into two distinct halves, the first seven improvisations were recorded at a private session in the afternoon prior to the gig, and tracks 8 to 12 recorded at the evening performance, the music follows a logical path and sequence from one session to the next. On this outing it is perhaps Riley who follows the straighter path, with the soprano exploring the range and timbres of the horn, and the natural acoustics of the room, and this is demonstrated on the longer ‘live’ pieces recorded at the evening session. Both ‘Two Timing’ and ‘Hearing Is Believing’, at 17 minutes and 11 minutes respectively, allow the interplay to develop over a longer time span without ever meandering, whilst the shorter cuts ranging between 3 and 7 minutes certainly help to focus the mind. A fascinating glimpse into the creative processes of two master musicians.